Whenever we attend a presentation, we expect to learn something. What we might not expect is to learn what the presenter thought and how they felt during their own learning process. But that’s exactly what happened when Maura Lynch presented the first half of the first program of our new calligraphic year on Saturday, September 17, 2016: Maura dispensed a bouquet of pithy thoughts and subtle insights she gained during her year-long studies as the beneficiary of the Jo White Scholarship for 2015. Her talk was titled "Follow the Lead of Your Teacher and Other Lessons from a Year of Intensive Calligraphy Study." Since she was a child, Maura has loved pens, paints, and paper. 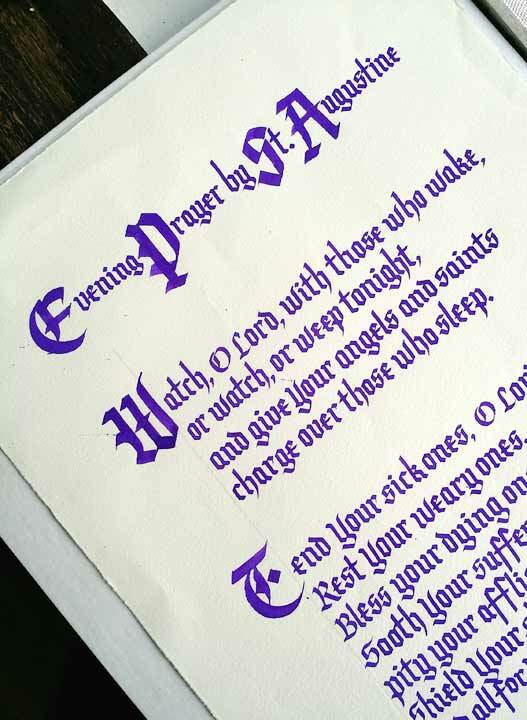 To satisfy her adult creative longing, Maura enrolled in Judith Michalski’s community education class in Italic lettering and was enthralled with what she learned. 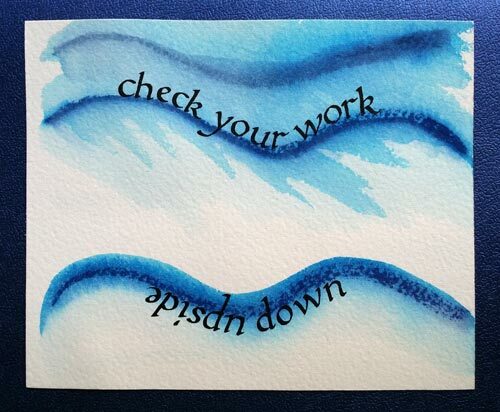 Later, at a Midwest Art and Lettering Retreat class, Maura wondered while taking Carrie Imai’s “Foundation Meets Bone” class how she was going to become a calligrapher by learning variations alone. That conundrum fed Maura’s desire to seriously learn calligraphy, an incentive to apply for the scholarship. As Maura practiced the Foundational hand, she discovered the importance of warming up, encouraging us to “do your pen aerobics!” She admitted she struggled to make adequate single strokes but found that the repetitive pattern made by the basic strokes was “pretty” and that she was never bored while practicing.